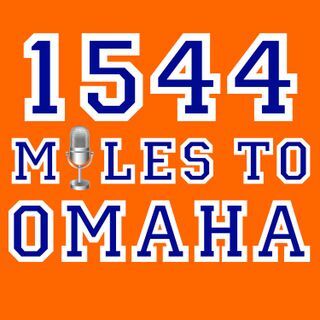 1544 Miles to Omaha offers insight, opinion, rumors and stories from the past with special focus on Cal State Fullerton Titan Baseball, the College World Series and college baseball in general. 1544 miles is the distance from Fullerton, California to Omaha, Nebraska, the home of the College World Series. The Cal State Fullerton baseball team has visited Omaha during the College World Series so often, the Omaha locals tabbed the team "Cal State Omaha". The natural progression ... Más informaciones to take CalStateOmaha.com to a podcast was inevitable due to the popularity of the Titan Baseball program and the expanding fan base's insatiable appetite for more information on the four-time national champions.